KS3 Science-Chemistry Quiz "PARTICLE MODELS - properties of gases, liquids, solids and & changes"
The table shows the melting points and boiling points of some substances A to D. Which substance is a solid at 25oC? The table shows the melting points and boiling points of some substances A to D. Which substance is a liquid at 0oC? The table shows the melting points and boiling points of some substances A to D. Which substance is a gas at 0oC? The table shows the melting points and boiling points of some substances A to D. Which substance is a liquid at 30oC? The table shows the melting points and boiling points of some substances A to D. Which substance is a liquid at 20 oC? The table shows the melting points and boiling points of some substances A to D. Which substance is a solid at 20oC? The table shows the melting points and boiling points of some substances A to D. Which substance is a gas at -60oC? The table shows the melting points and boiling points of some substances A to D. Which substance is a liquid at -10oC and a gas at 10oC? 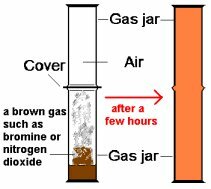 The table below shows the melting points and boiling points of substances A to D. Which substance is a gas at 25oC? The table below shows the melting points and boiling points of substances A to D. Which substance is a liquid at 25oC? The table below shows the melting points and boiling points of substances A to D. Which substance is a solid at 100oC? The table below shows the melting points and boiling points of substances A to D. Which substance is suitable liquid to use in a thermometer that measures in the range 10oC to 90oC? The table below shows the melting points and boiling points of substances A to D. Which substance is suitable liquid to use in a thermometer that measures in the range -120oC to 20oC? The table below shows the melting points and boiling points of substances A to D. Which substance is suitable to use in a thermometer that measures in the range -10oC to 105oC? 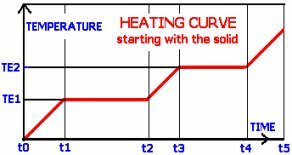 The table below shows the melting points and boiling points of substances A to D. Which substance is suitable to use in a thermometer that measures in the range -4oC to 50oC? In winter freezing conditions can produce cracked milk bottles! Problems can arise with railway steel track from changes in temperature.